With the continuous advancement of BenQ’s touchscreen technology, the BenQ RM5501K offers precise positioning to guarantee a streamlined and ultra-smooth handwriting experience that can effectively enhance class interaction and student participation. The RM5501K comes with dual pens that allow two users to write or draw with different colours simultaneously, making it ideal for lively classroom activities. Additionally, teachers can now create a more engaging learning experience by using two pens to write and highlight with two different colours, eliminating the need to change colours in a traditional classroom scenario. Blue light emissions from displays may cause adverse health effects such as macular degeneration or disrupted melatonin secretion. 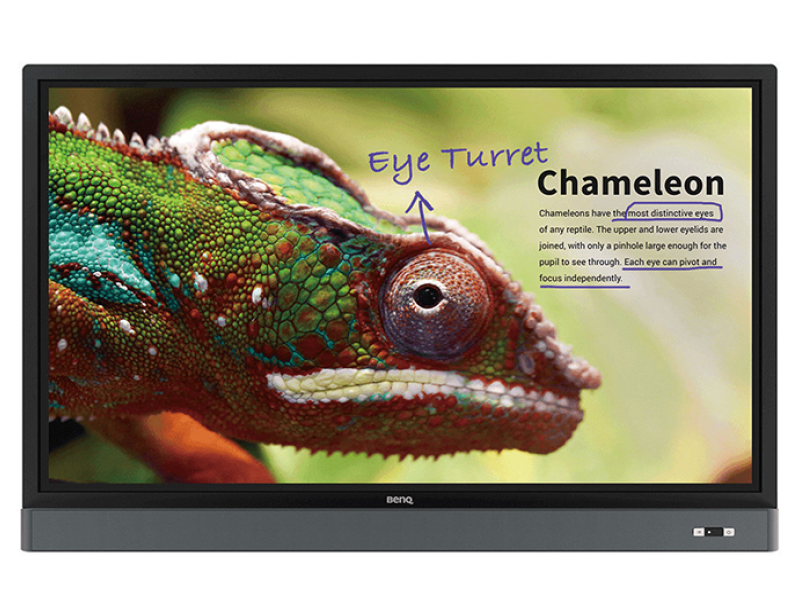 BenQ’s Low Blue Light technology minimizes blue light exposure and allows for healthier time spent in front of the display, helping you create the best and most comfortable viewing experience for you and your students. Please click here to arrange a demonstration or call us on 0843 886 4648 to speak to one of our technology specialists. After realising the projectors was affecting the morale of teachers due to how dim they were, Torkington Primary School decided to make a change to upgrade to touchscreens over projectors. This majority EAL primary school struggled with ageing technology and barriers to learning. See how SMART technology helped transform outcomes. Sharlston Community School in Wakefield wanted to bring new technology into their classrooms, but they needed to make sure the costs suited the school. We, as the trusted partner of the GLF Schools multi academy trust, worked closely to implement 56 x SMART Board touchscreens into this new build academy. As the trusted partner of the GLF Schools multi academy trust, we worked closely to implement the latest interactive technology into this new build academy. The National Physical Laboratory is a world-leading scientific centre. It was here that Enigma codebreaker Alan Turing worked just after the 2nd World War. Part of The Shared Learning Trust, a family of four schools in Bedfordshire, Luton’s The Linden Academy is focused on providing local children with quality education. We’re Elementary Technology and we support schools, corporate and public sector organisations with the latest audio-visual and interactive technology.